Cannabidiol — or CBD as it's known — is gaining popularity in North Carolina and around the country. At least six new CBD stores have opened around Charlotte over the last year, and other restaurants and stores have begun incorporating CBD into their menus. All of them are operating in gray legal territory. Take Lifted CBD for example — the small dispensary/convenience store that opened up off North Davidson Street over the weekend. Inside, friendly employees are ready to show off a dizzying array of CBD products. Among them are pain creams, caramel chews, chapstick, pet treats, cold and hot teas, even CBD-infused empanadas. The dispensary owners are Adam Cozzolino, 26, and Matt Houser, 37. Houser has been interested in CBD for some time, and Cozzolino more recently; he began using CBD about six months ago to treat anxiety. He said he hopes his new business will help others with pain, depression or other chronic ailments. The problem? The FDA has said it's against the law to market CBD as having health benefits. That's because one, it's not FDA approved and two, the FDA is worried it could keep patients from accessing more "appropriate, recognized treatments." 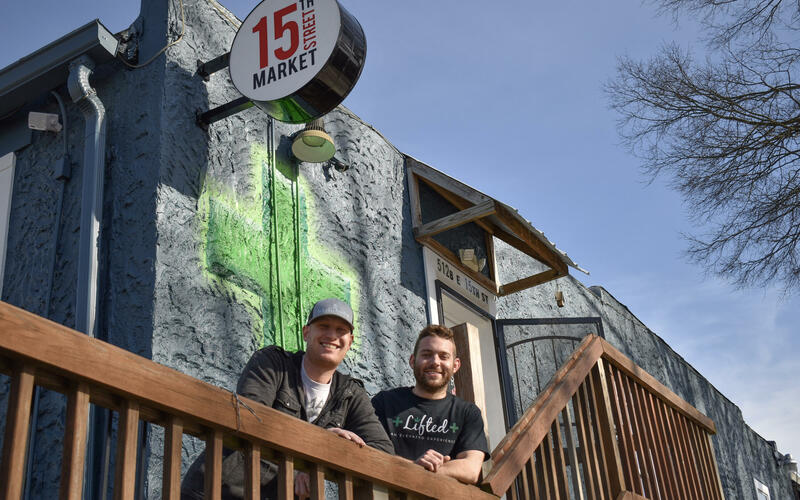 Matt Houser (left) and Adam Cozzolino are co-owners of Lifted CBD, a local dispensary that opened off North Davidson Street over the weekend. Co-owner Matt Houser said that's exactly what the dispensary is trying to do. "People are tired of prescription medications," he said, "People are tired of the runaround from doctor to doctor to doctor, treating symptom, treating symptom, treating symptom — not getting to the root cause of the problem." And that's a common theme from the half-dozen other CBD stores that have opened around Charlotte in the last year, among them CBD dispensaries like this one, CBD cafes and even a CBD delivery service. Most of these retailers will readily tell you that CBD can treat any number of ailments, and science seems to suggest they're on to something. Studies have suggested that CBD can be used to treat forms of epilepsy, and can help with insomnia and some forms of chronic pain. Still, retailers should be careful how they talk about health benefits, said Eric Steenstra. He's with the hemp lobbying group, Vote Hemp. "A retailer could refer you to 'Hey, you can check out these websites where various people are talking about what the benefits might be,' or, 'go talk to your doctor,' " he said. "That kind of thing's fine." But telling customers outright that CBD will ease pain — that's on less certain legal ground. The FDA has also said CBD food products are banned from entering interstate commerce. But if you look at local websites, just about every CBD store in Charlotte appears ready to ship edibles anywhere in the country. And there's this: under North Carolina law, it's illegal for anyone to possess CBD unless they have intractable epilepsy. Local stores and consumers may not have much reason to worry. The confusing and contradictory legal situation means no one is really sure what is or isn't legal, and neither the state nor the FDA have made any large-scale effort to crack down. 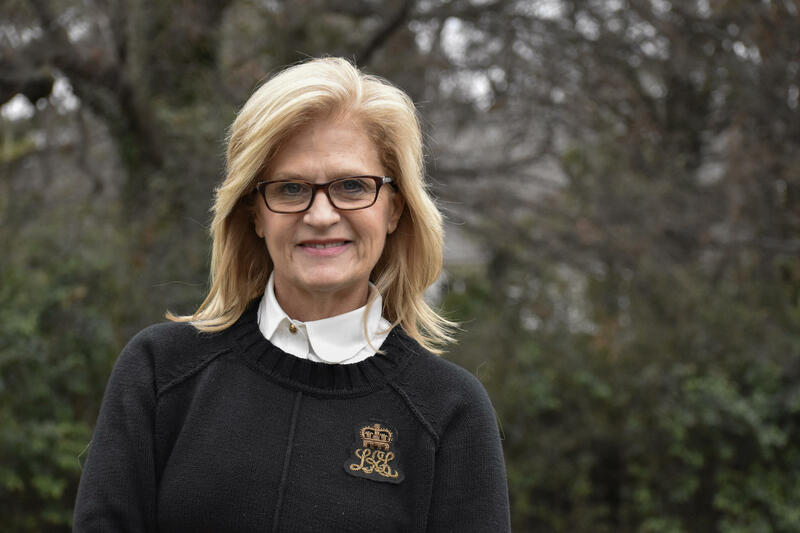 Ellen Tacher is the founder and CEO of Prime Sunshine, a Charlotte-based CBD retailer and manufacturer. Still, the legal questions are enough to spook many banks and payment companies from working with CBD businesses. Ellen Tacher, founder and CEO of Charlotte-based Prime Sunshine, has been dropped from numerous payment processors. "I've been kicked off Venmo, Paypal, Google Play, Apple pay, Cash App, Square, Zilly, and Messenger," she said. "So yes, it's hard to run a business when you can't take somebody's money." Tacher has been in the business since 2016. She said she's also gone through four banks, and was kicked off of Facebook, but managed to petition the site and get her page restored. She said there's still plenty of work to do to get the public and law enforcement educated on CBD. Sometimes, that means letting people try it for themselves. "I keep these pre-rolled hemp joints here in our office," she said, pulling out a large ziplock bag from a desk. "I've gone to the extent of lighting one up with a cop in my parking lot in my apartment complex to teach him. And it was totally new to him." Tacher also traveled to Washington D.C. this month, where she met with other hemp lobbyists and lawmakers in a push for new policies that will benefit the CBD and hemp industry, and she does think change will come. "It's just going to take more time," she said.